This is the wall hanging I made featuring Maruscha Gaasenbeek's iris folding technique. 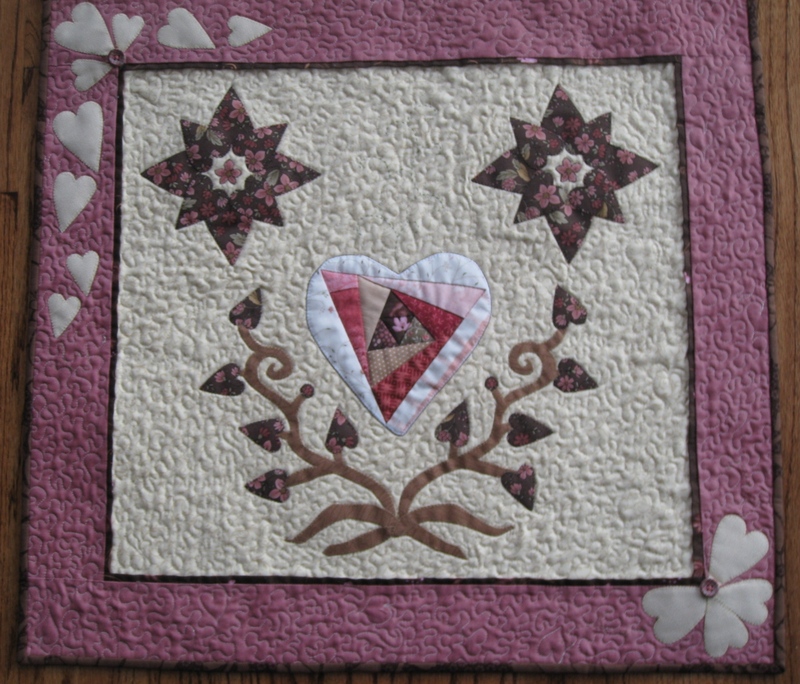 The heart block is from her book "Iris quilting" (see my previous post). 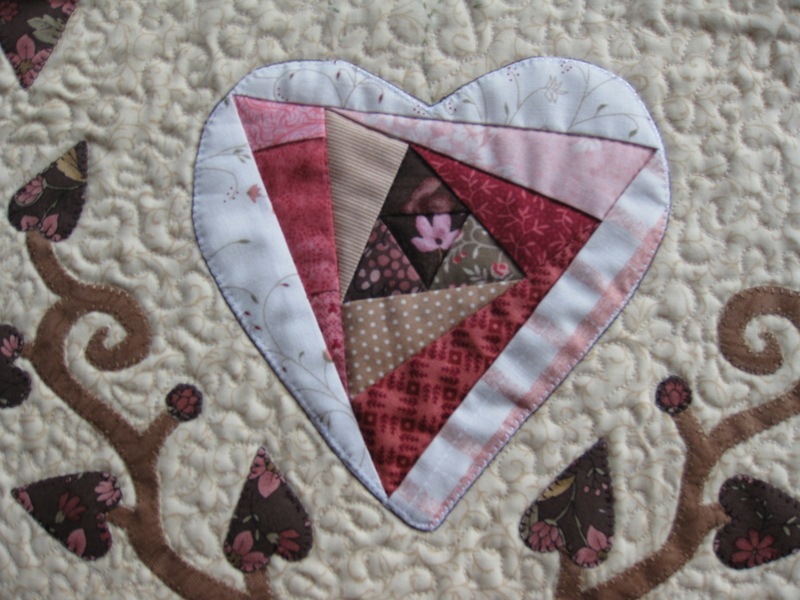 Here is the story behind this quilt: I had tested my Big Shot machine as soon as it arrived, and cut some hearts out of a pretty fat quarter I had. Satisfied that the machine worked, I kept the heart cutouts near it, hoping to use them in a project. When I read Maruscha's book and saw the Heart to Heart pattern, it was love at first sight... 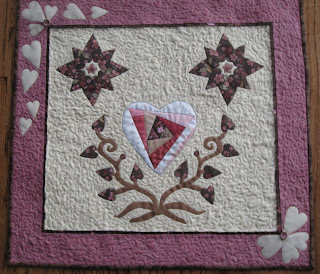 I turned the hearts I had cut into stars, top left and right, and placed others as flowers on tree branches. I have loops on the back for hanging (not shown). Oh, yes, almost forgot: notice the brown thin border around the center block. It is not a border per se. I folded a one-inch strip of brown fabric in half, wrong sides together, as if I were preparing the binding, and sewed it onto the beige background with a 1/8 inch seam, then sewed the rose border onto it. Now is your turn. What have you been up to? Lindo trabalho,como sempre.Senhora talento!!! !Cadê o nome do neto?? ?/Beijogrannnnde.